Now in it’s second printing and can be ordered on Amazon or locally by calling Evelyn Voigt 613-793-1633 or breedyk14@yahoo.ca . 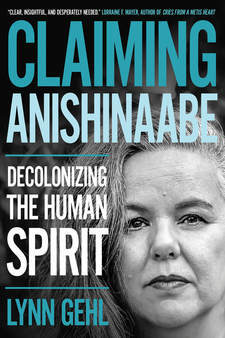 Lynn Gehl shows how finding her spirit gave her the strength to forge a true identity and fight for her status under the Indian Act. 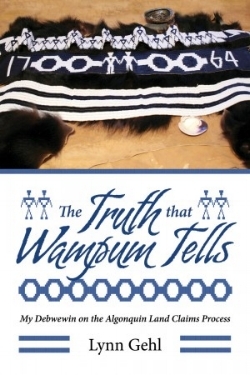 Lynn Gehl's The Truth that Wampum Tells offers readers a first-ever insider analysis of the contemporary land claims and self-government process in Canada. A Drop of Water by Dany Charbonneau. To support his work click here. Une goutte d'eau de Dany Charbonneau (auteur, compositeur, interprète). Inspiring us all to protect the waters of Earth. Go to blessthewater.com for more inspiration! Knowing the past to inspire us for the future we all create in the present. Teachers can inspire our actions for a new future where we walk in mutual respect, fairness and equality. Like these great leaders, we too can choose to leave behind a better place than the one we found when we first awakened to be the change we were yearning to see. Was gifted by a spiritual experience where he rose from his past and in each present moment with faith and courage moved forward becoming a strong voice for his Algonquin people’s deep faith, culture and spirituality becoming known world wide. In his gatherings and talks he planted a seed a vision for Canada to be a Culture of Peace and a Circle of All Nations.. welcoming the world as his ancient peoples did to the Anishinabe peoples ways of being when Europeans first arrived to settle. In the area that is now the centre of Canadian democracy in Ottawa/Outaouais the Gatineau Hills seen behind Gatineau City from Ottawa and Parliament Hill are along one of the five most important Rivers on Mother Planet Earth. The Algonquin River Watershed and the Chaudière Falls and its islands are not known by most Canadians. But ancient spiritual nomadic Indians from all over North America came to this sacred area and used it as a Sacred Spiritual Mecca at the bottom of these Falls visited by as many people as Niagara Falls before cemented and imprisoning the Ottawa Algonquin River shed in 1908 with a Ring Dam to this day used for creating energy not for the lumber industry but once again for private profit.. not returned to the first peoples as it was promised once the settlers were finished using it.. for creating new jobs and sharing equally the resources of this land sacred to the deep spirituality of the original peoples. Had a vision he must call his people to gather at a Sacred Assembly in Hull Quebec in 1995 for in a dream he was told.. Until his people the First original peoples of Canada began to learn how to express their pain and give voice to their human experience only then would they heal and ins so doing help those who listened connect with our own pain and move forward to see in time Canada as a country heal. Ideas and ways to connect to the heart. Try this "Ring of Fire" prayer to find stillness and connect to the wisdom within. As a healing practice. Join the Aylmer Drumming Group for monthly circles.